I received a few requests after my post about Evaluating Fabric Color Value to discuss color transparency. I am currently really loving playing with color transparency and have several more pattern ideas that I want to explore to follow up my Triangle Transparency pattern. Transparency quilts play with the subtleties of fabric values to create layered, transparent effects. Color transparency relies on there being both a fabric color value difference and cohesive color transition. In addition to using black and white images to evaluate fabric color values (perfect for iPhone / Instagram users and quick filters when you are out fabric shopping), you can use red glasses, and natural light near dawn or dusk lends to good in person lighting. For more details on evaluating fabric color value, please refer to my tips on Evaluating Fabric Color Value. again, you might notice that the background color of the medium green is nearly the same color as the lighter green in the darker wood grain pattern. By carefully selecting fabrics that subtly blend into one another, the final overlapping color transparency is very effective. 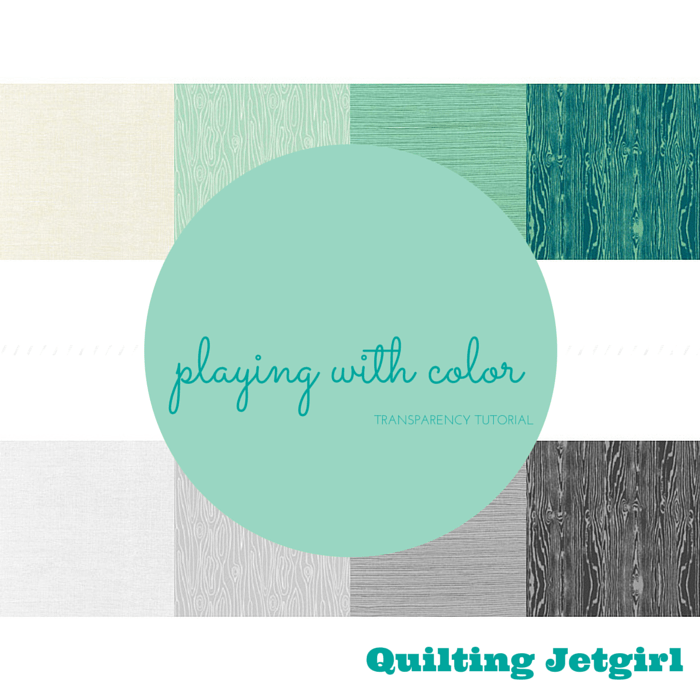 Another way to select fabrics for color transparency is to use a color card. In particular, the Kona Color Card, with its large selection of colors, is a great place to pull inspiration. The colors are grouped together and working in the natural groupings, selecting light to dark shades might be simplified. Also note that once you have selected the color shades, you can then use them as “paint chips” to take with you and evaluate other print fabrics to see if they read close to the colors you have selected and know will work well together. Finally, some fabric designers very carefully work with consistent color palettes. Pulling fabrics from the same designer (even potentially across fabric lines, depending on how the designer typically works) can be a great way to be confident the colors will seamlessly blend. Carolyn Friedlander immediately comes to my mind; below you can see the rich oranges from across several of her lines and how they blend together. Linking up with Tips and Tutorials Tuesdays (button to the right). I definitely feel better able to pull some fabrics together, thank you! And I have hopefully already said this when you first showed it to us, but it bears repeating, your triangle transparency pattern is brilliantly beautiful! Fabulous post and thank you for sharing! 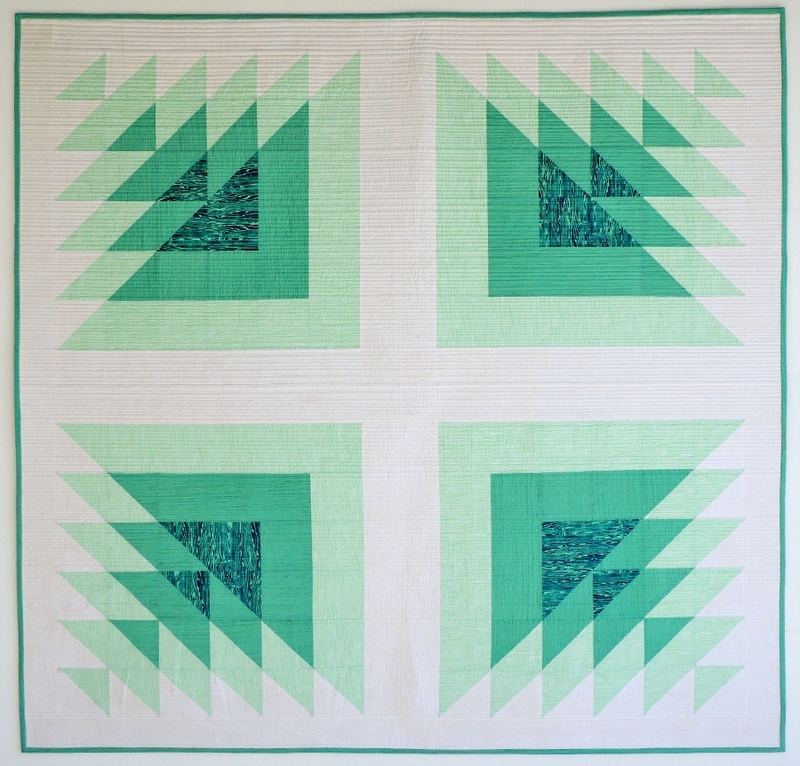 Your transparency quilt is an inspiration! You picked your green quilt’s fabrics so well, when you see them close up like that you really realise how perfect they are combined. Ooooh those grey ones!! I used batiks for their colors combos/mixer ability a lot, I’m glad you showed an example here. I love the crispness of batiks in cutting and you can turn them either way so lots of choice. Great explanation of blending. Thank you for this transparency tutorial! What great explanations and graphic examples! 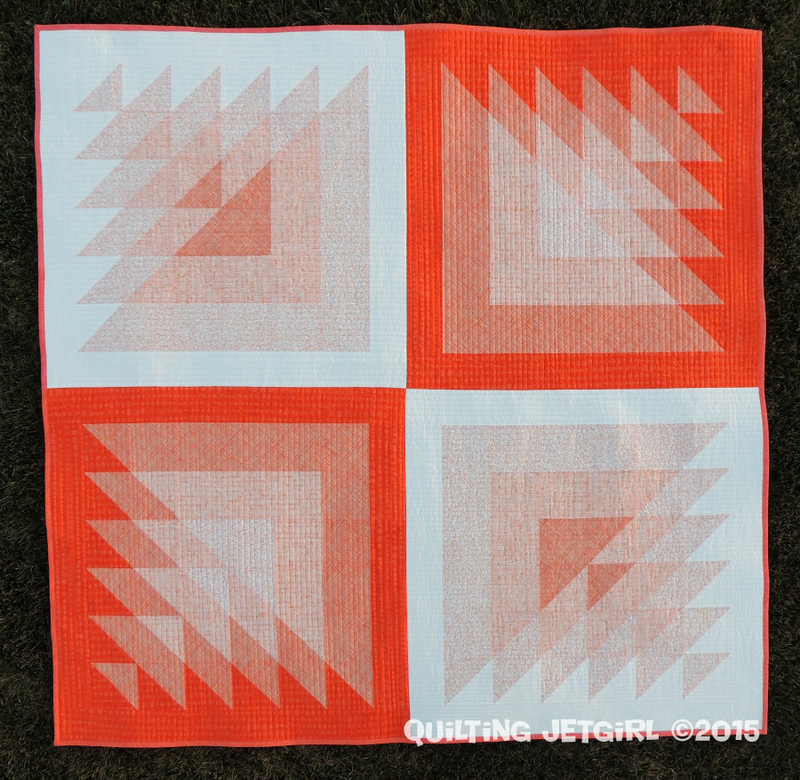 I love creating ( illusion) type quilts and can’t wait to put this information to use! i think i just fell in love with triangle transparency!! is there a pattern for that one also? dare i hope so……..
i’m giving up, and sending you a copy of my “order form” could you PLEASE pick 3 colors, and let me know which ones to use, if any of these at all, i have spent the past time since the faric requirements were published trying and trying to choose, eraseing and re choosing and this time i just can’t say yes to anything, or more to the point no to everything else. PLEASE…………………….